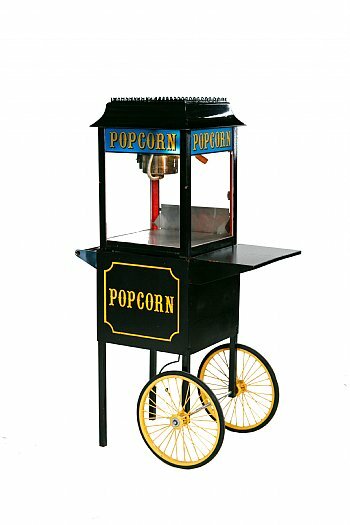 Painted in black with gold trim along the wheels and the word Popcorn edged out, our Old Fashioned Popcorn cart machine rental conveys that nostalgic appearance for a variety of events. The Popcorn cart machine rental takes up a small footprint and draws minimal power so it is an ideal choice for trade show booth exhibitors looking to draw attendees to their trade show booth. The alluring smell of popcorn will certainly bring attendees and guests to the Old Fashioned Popcorn cart machine rental. Besides the alluding smell, the Popcorn machine cart can be customized & branded. The suggested branding options are the front panel and side panels. 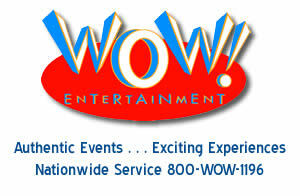 Speak to one of our event specialists at 800 WOW-1196 to learn more about the branding options for this item. Corporate & hospitality events that have a boardwalk or nostalgic theme will be greatly enhanced with the choice of the Old Fashioned Popcorn cart machine rental. Your guests will greatly appreciate that you did!